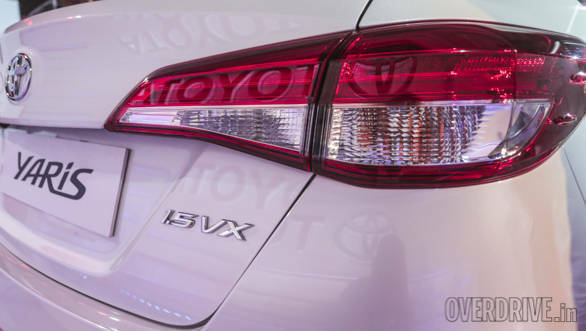 Toyota has announced introductory prices for the Yaris sedan before the car launches next month. While the powertrain specifications were made public during the car's reveal at the 2018 Auto Expo, this new information explains how the car will be priced in variant-wise detail. As is known, there will be four variants available-J, G, V and VX. All of these will be available with a 7-speed CVT or a 6-speed manual. 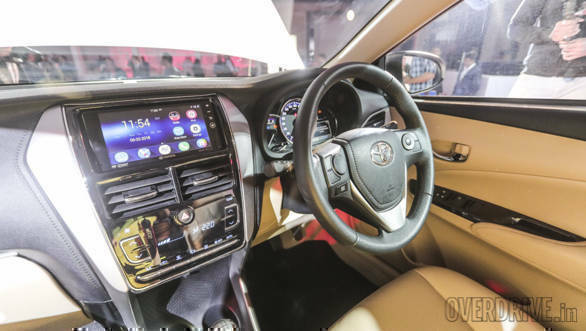 Encouragingly, 7 Airbags, which will include dual front airbags, 2 Curtain airbags, 2 Front side and a driver knee airbag are available as standard. Additionally, ABS with EBD and BA is also standard. All prices mentioned here are ex-showroom India. Bookings have already started at the dealership level with amounts ranging from Rs 50,000 to Rs 1 lakh. We've put down the prices and features each variant will come with below. The Yaris is available with a 1.5-litre petrol engine. 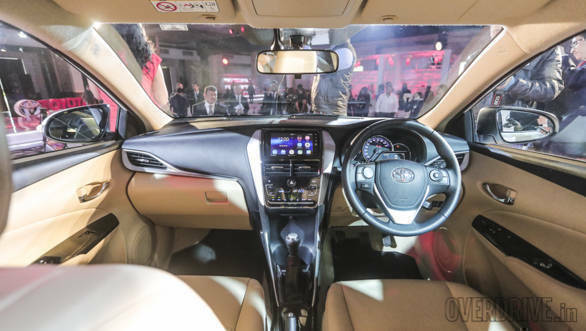 The 1.5-litre is not lifted from the Etios but is a redesigned motor that produces 107PS and 140Nm of torque. 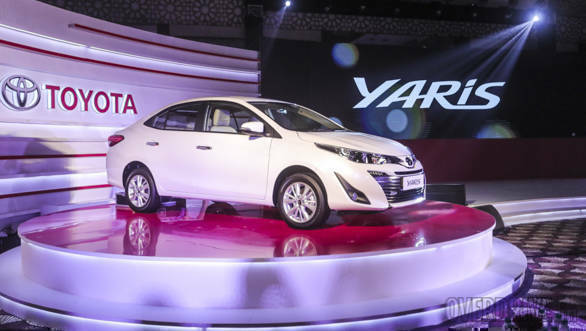 While Toyota India has not confirmed this, we believe at a later stage, the Yaris might also be offered with a 90PS/205Nm 1.4l D-4D drivetrain that does duty in the Corolla. It was expected that Toyota would price the Yaris competitively against its rivals mainly due to the cars high level of localisation but these prices are in the same range as established C-segment players.